Contact / Map– Get to Jabs! 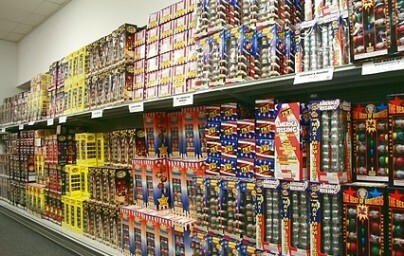 At JABS FIREWORKS you are assured the highest quality customer service and expert advice from our team of pyrotechnic advisers. Go ahead and light up the sky at your next party or holiday event. 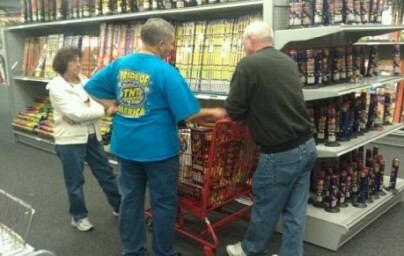 At JABS FIREWORKS warehouse outlets we have everything you need for an explosive evening. 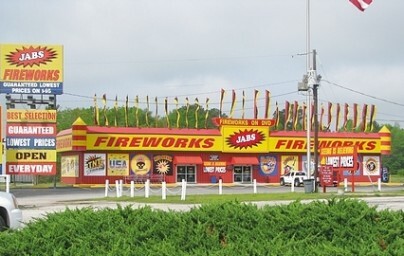 JABS FIREWORKS stores offer wall to wall selection and value along with actual video previews of our fireworks to assure you know what you are buying. 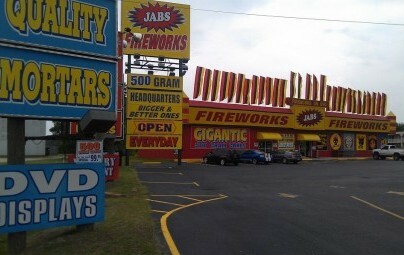 JABS FIREWORKS is your leading fireworks super store for quality, value & selection in South Carolina. With two locations to serve you and… The Guaranteed Lowest Prices on I-95. Hosted by Myrtle Beach Website Design & SEO MyrtleBeach911.com All rights reserved by Jabs Fireworks, copyright© 2008 to present.